First step towards maturity: sell more cars. There’ve been all sorts of rumors lately regarding the future of FCA. Is there a Chinese automaker(s) seeking to buy it? Part of it (meaning Jeep)? 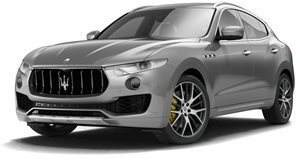 Or, is FCA itself considering spinning-off Alfa Romeo and Maserati in the same (and very successful) way it did with Ferrari not long ago? So many questions, even fewer answers. Reuters, however, caught up with CEO Sergio Marchionne on the sidelines of the Italian Grand Prix in Monza, Italy, and asked him a few direct questions about his company’s future. In typical Marchionne style, his answers were brief and to-the-point. As far as the Chinese issue goes, Marchionne had a flat-out "No" for an answer as to whether FCA has been approached by an automaker, or if there’s an offer on the table. Great Wall Motor Co. was previously named as that Chinese suitor, and its president even openly stated her desire to own Jeep. Marchionne, on the other hand, wants to "purify" FCA’s portfolio. What does that mean? He wants to spin-off some divisions, specifically the components businesses. That could happen by the end of next year. As for the future of Alfa Romeo and Maserati, Marchionne was once again direct, stating that neither one has "the muscle to stand on their feet, make sufficient cash." 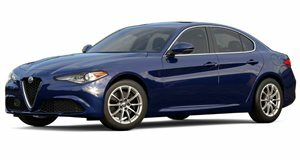 “The way we see it now, it’s almost impossible, if not impossible, to see a spin-off of Alfa Romeo/Maserati, these are two entities that are immature and in a development phase." And therein lies the problem. Unlike Ferrari, neither of these fellow Italian brands have the sales figures and profitability. Whether alone or separate, neither can survive without a parent company. This doesn’t mean spin-offs will never happen, but both brands still require a lot of work, and this won’t change in what’s left of Marchionne’s tenure, which goes until April 2019. "If there is an opportunity in (the) future (to spin off Alfa Romeo/Maserati), it would certainly happen after I’m gone," Marchionne clarified. "It won’t happen while Marchionne is around."